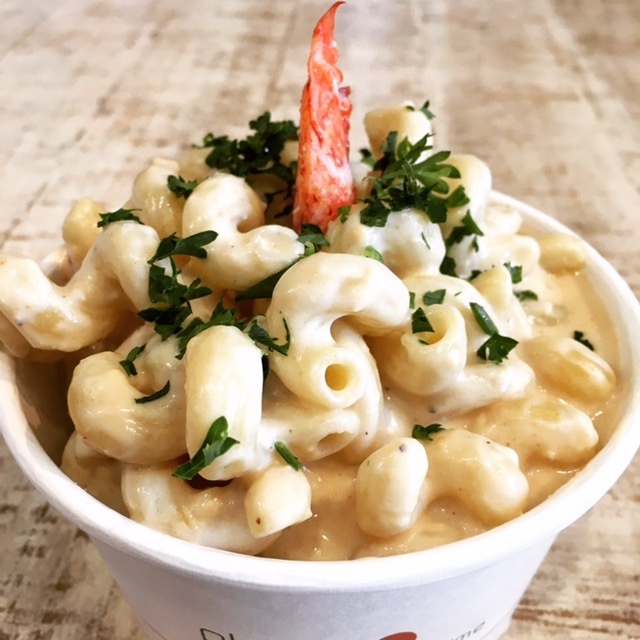 As if Court Street Lobster Bar couldn’t get any better, the restaurant is now offering three new menu items and a few deals for dining in. The Surf and Turf is the newest addition to the dinner menu. It features a 10-ounce Allen Brothers New York Strip Steak and a fresh cold-water Maine Lobster Tail for only $38. This savory combination will be served after 5 p.m.
Court Street Lobster Bar is now serving a delicious crème brûlée and house made blueberry cobbler bites topped with a wine-reduced blueberry sauce and powdered sugar. Half-Price Tuesday is now called Marker-Drop Tuesday. The menu will offer $3 off all rolls (excluding lobster and rolls of the month) and half off wine prices! This change took place after all roll prices were lowered. Bottomless Brunch includes one brunch item (such as Lobster Gouda Biscuits and Gravy) along with bottomless mimosas, Cava pours and screwdrivers for $35. 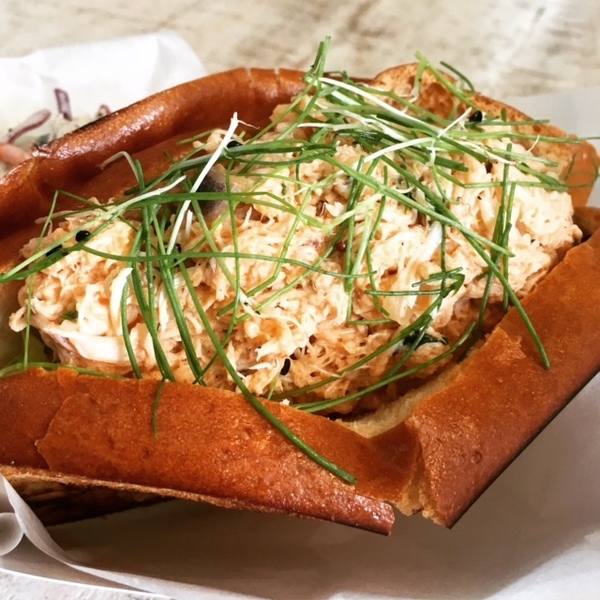 Court Street Lobster Bar is also introducing a happy hour menu featuring items under $10, including a spicy crab dip ($8), fried shrimp bites with malt vinegar aioli ($8), and a knuckle sandwich (1/8 lb. 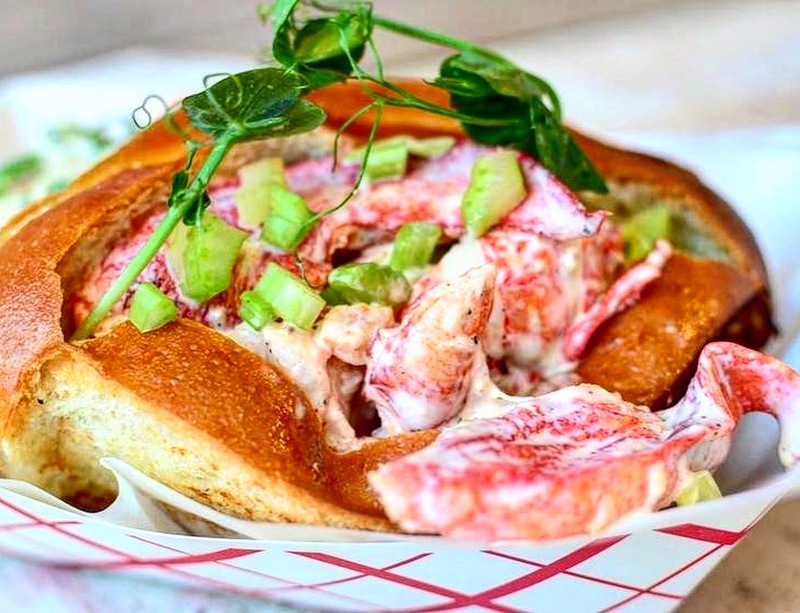 of lobster on a bun for $9). These happy hour prices go along with the daily drink specials, including $3 drafts (excluding rare beers), $2 domestic bottles, $6 cocktails and $1 off any other alcohol purchases. Whether you’re in the mood for a big family dinner, desserts for two or drinks and snacks with your friends, Court Street Lobster Bar has you covered. Court Street Lobster Bar, 28 W Court St., (513) 246-0184, courtstreetlobsterbar.com. 11 am–10 pm Mon–Thurs, 11 am–11 pm Fri & Sat, closed Sunday.